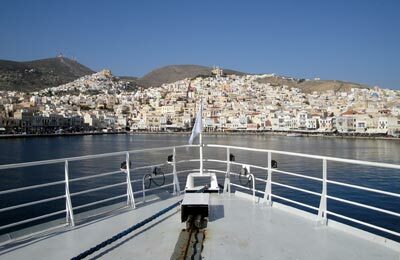 You can use AFerry to book an Aegean Speed Lines ferry to the Cyclades islands. 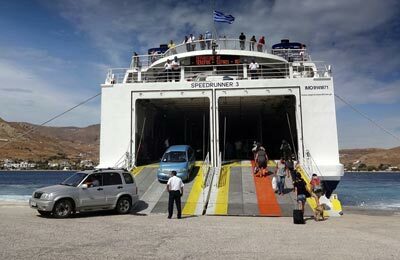 With departures almost every day and well equipped modern ferries, Aegean Speed Lines offer the most convenient method of travelling to these beautiful and charming Greek Islands. 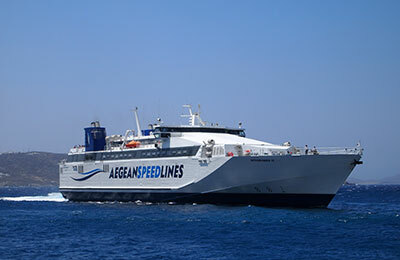 You can book ferries to Piraeus, Mykonos, Ios, Paros, Milos, Kimolos, Naxos and more with Aegean Speed lines. See below for all Aegean Speed Lines routes and the latest prices and sailing times. Click on your ferry route for a detailed Aegean Speed Lines timetable. Aegean Speed Lines fleet consists of three ultra modern high speed vessels, Speedrunner II, Speedrunner III and Speedrunner IV. You will find Aegean Speed Lines modern air-conditioned fleet of high speed ships offer a wide range of facilities. You can choose either Business or Economy Class seating and their ships come with coffee and snack bars, shops and internet access.